Long home to a variety of American Indians tribes, the first Spanish explorer, Alonso Alvarez de Pineda, sailed into Mobile Bay in 1519. The British and Spanish remained active here, but the first permanent European settlers were actually French, arriving in the late 17th century. By 1711, Fort Louis (on the present site of Mobile) was settled, and then declared the capital of a new French colony called Louisiana. When the French and Indian War ended in 1763, the French sway over Alabama lands was over, the British took control of much of the land, and turf battles with the Spanish continued for another 20 years. In 1783 the British (by treaty) gave their West Florida lands to Spain. Ironically, in 1783, the Treaty of Paris formally ended the American Revolutionary War, and in defeat, all British controlled lands (including most of Alabama) were ceded to the U.S. The Spanish kept their lands for just a few short years as pressure from the fast-growing U.S. mounted. By 1812, the United States controlled the entire Mississippi Territory, included all of Alabama, Mississippi and West Florida, lands that would later be divided into the U.S. states of Alabama and Mississippi. During the War of 1812 between Britain and the U.S. the Creek Indians were finally defeated by General Andrew Jackson's overpowering forces. By 1816, the majority of the long-held Indian homelands were gone and their resistance in Alabama came to an end. With the Indians gone, tracts of farm land were now available and cotton became the main crop. Over the next few decades, settlers arrived in great numbers from all directions. They called this rush "Alabama Fever." 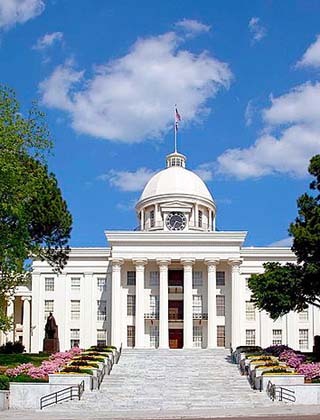 In 1819, Alabama became the 22nd state admitted to the Union of the United States. Early optimism and farming successes within the state were replaced by the 1837 U.S. depression where many Alabamians lost their savings. In the 1850's, a faltering economy was now worse as persistent drought ruined most of the crops. Economic rivalry between the industrial North and the agricultural South caused many conflicts, but those concerning states' rights and slavery put both sides on edge. The unresolved problems worsened and talk of war was in the air across the American South. In 1861, Alabama seceded from the Union. In February of that year, six southern states formed the Confederate States of America, naming Montgomery. Alabama, the capital. America's Civil War was bloody and costly for both north and south, and although Alabama (except for Mobile) saw limited fighting, over 120,000 of its men would bear arms against the north, and more than 25,000 of them would die as a result. At the Battle of Gettysburg alone, nearly 2,000 of its soldiers were dead. At the end of America's Civil War, Alabama was devastated. This one time home of King Cotton was in economic, political and social turmoil. In 1868 is was readmitted to the Union, but poverty remained in control for the next decade. In the mid-1870's, railroads stretched across the state and Alabama's long-suffering economy soon blossomed, as lumber, mining and textile industries grew quickly. 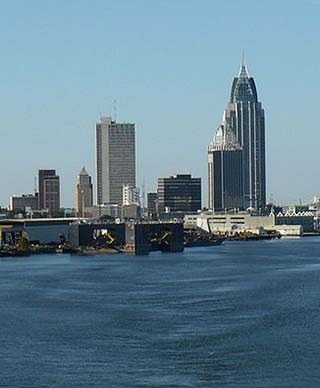 Like many other states, Alabama prospered during World War I, and especially in Mobile, as shipbuilding companies exploded with growth. Then, in 1929, America's stock market crashed, the Great Depression took hold, and Alabama would suffer once again. 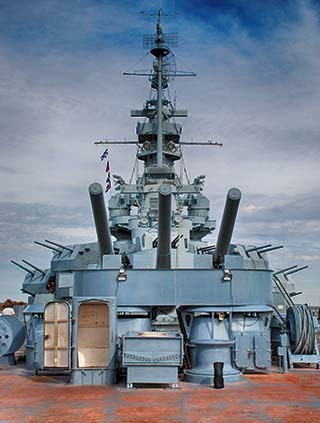 World War II helped restart the economy, military installations were constructed, and the state's agricultural and industrial production quickly increased. In the 1950's and 1960's, the ugly head of racism surfaced. The Montgomery Bus Boycott, the Martin Luther King-led Birmingham demonstrations, Governor George C. Wallace's student blockage and the Selma March made worldwide headlines, and all would later prove to be catalysts for much-needed civil rights across America. Today the State of Alabama is a vital part of modern America. Here the bells of personal freedoms ring loud and true, as this southern state and its people welcome one and all, as they are proudly woven into the fabric of America's history and civil rights movement.